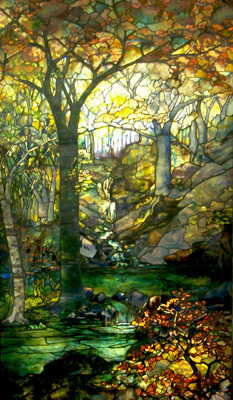 Let Stained Glass Inc. brighten your library with beautiful, custom stained glass designs. Custom stained glass is the perfect way to add color, personality, charm, and style to any building. Stained glass works beautifully in libraries because of the calm and peaceful mood it exudes. Let the talented professionals at Stained Glass Inc. provide you with custom library stained glass to enhance your library's overall aesthetic appeal. Stained glass windows for libraries are an ideal way to commemorate an important event in local history or to honor significant donors and volunteers of your library. These stained glass library inserts can serve as beautiful reminders of the importance of local history, and are an exceptional and personal way to show thanks to those community members who’ve contributed time and funds to build your library. Stained glass windows for libraries are a classic way to add style, sophistication, charm and beauty to the overall design and look of your establishment. Stained glass inserts for libraries not only allow you to take advantage of bright natural sunlight without compromising privacy, but they also eliminate the risk of unwanted glares and unsightly outside views. The talented artists at Stained Glass Inc. have created a wide variety of stained glass designs ideal for libraries that can be incorporated in a number of different ways. The rich colors and textures, finished with beautiful details, are sure to coordinate with any existing décor or architectural feature. Have something more custom in mind? At Stained Glass Inc., we can turn any of the images from our extensive stained glass collection into custom stained glass library inserts or we can create a design specifically for you. All you have to do is provide your measurements and ideas and we will work directly with you to custom make library stained glass that will fit perfectly and add stunning color and sophistication to your building. Our custom stained glass windows for libraries are especially beautiful, boasting brilliant color as they glow in the sunlight. But their beauty isn’t their only benefit; the high quality of our products makes them really worthwhile. These aren’t your typically stained glass inserts. Custom stained glass windows for libraries from Stained Glass Inc. are much stronger than regular glass and are virtually unbreakable boasting up to 250 times the strength of other glass. Unlike other stained glass, our panels are polymer laminated, similar to airplane windows, which make them virtually unbreakable. Not only are the materials strong, but the colors are fused directly to the glass with heat to ensure lasting vibrant color that won’t fade over time. Another of Stained Glass Inc.’s many benefits is simple and quick installation. Inserts can be installed in seconds because they simply slip into window frames and fit behind your existing window glass. This also provides your space with added insulation, saving on cooling and heating costs. And the simplicity of installation saves on construction costs. Inserts are lead free providing you with the beauty of stained glass without the health risks of added lead and maintenance is simple. Stained Glass Inc.’s stained glass inserts require nothing more than a soft cloth and regular glass cleaner to keep them sparkling like new. While many of our clients like the simplicity and ease of Stained Glass Inc’s custom window inserts for their libraries, for a more dramatic effect, you may choose to create a stained glass desk front or beautiful stained glass library cabinet doors. We also offer custom stained glass light fixtures that are perfect for hanging over desks or quiet reading areas. We also offer impressive, eye-catching ceiling domes for an even bigger statement. Whatever you choose, you will surely enhance the look of your library with the stunning beauty of stained glass library inserts. Like our stained glass windows, our talented craftsmen can turn any of the images from our extensive stained glass collection into custom stained glass for your library. Additionally, Stained Glass Inc. library stained glass is much more affordable than other stained glass. Inserts are sold directly from our American studio, saving time and money. Plus, inserts are offered at studio direct pricing, with no need for a middle man. Our artists are the same craftsmen who have worked on projects for high profile clients such as the Texas State Capital, the Atlantis Resort in the Bahamas, the Pentagon, the Smithsonian Institute and many others. We are skilled in crafting the most attractive, high quality artwork for buildings all over the world. Our friendly and knowledgeable design assistants are available to help you. Consultants can help answer any questions you might have about specific stained glass images or technical details. Our talented team of professionals will work with you using your measurements and color preferences to create the perfect stained glass inserts and pieces for your library. Add privacy while still allowing natural sunlight to shine through. Installation is quick and simple which saves time and money. Affordable stained glass library inserts are built to last. Stained Glass Inc. custom stained glass inserts for libraries are practically unbreakable. Add color and charm to your library windows. American made and shipped studio direct. We are here to help make your stained glass dreams a reality. Give us a call or send us an email with any questions or information and we will work to make your library shine with custom created stained glass.